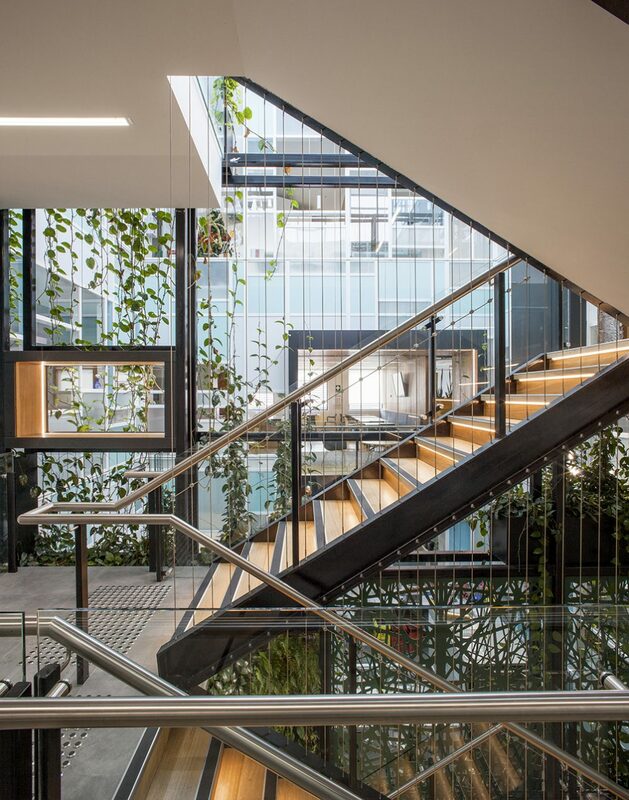 The City of Stonnington recently redeveloped its council building in Malvern, Victoria including adding a three-level internal green wall and facade. Tensile provided the supply and install of the vertical cabling system for this project. 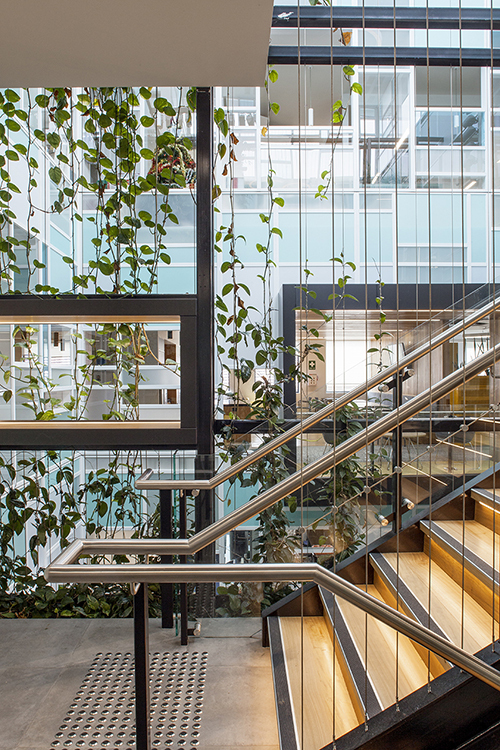 The cabling doubles as both a balustrade and a supporting structure for climbers and planter units supplied by Fytogreen. 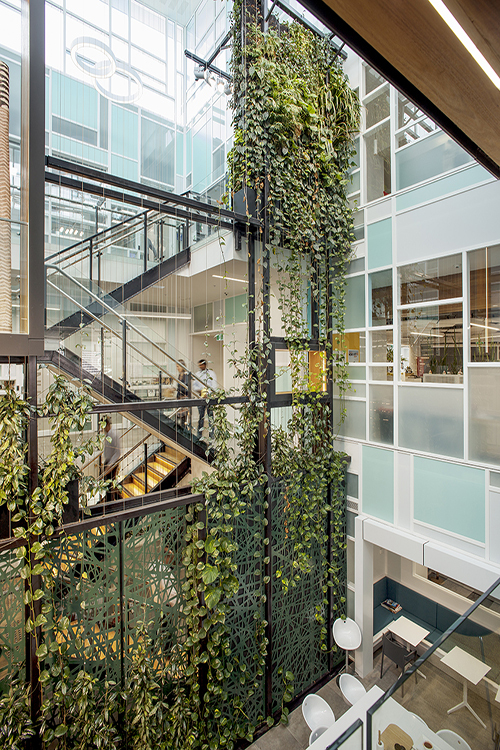 The building has been redesigned to create a light and airy interior accommodating 250 staff members. 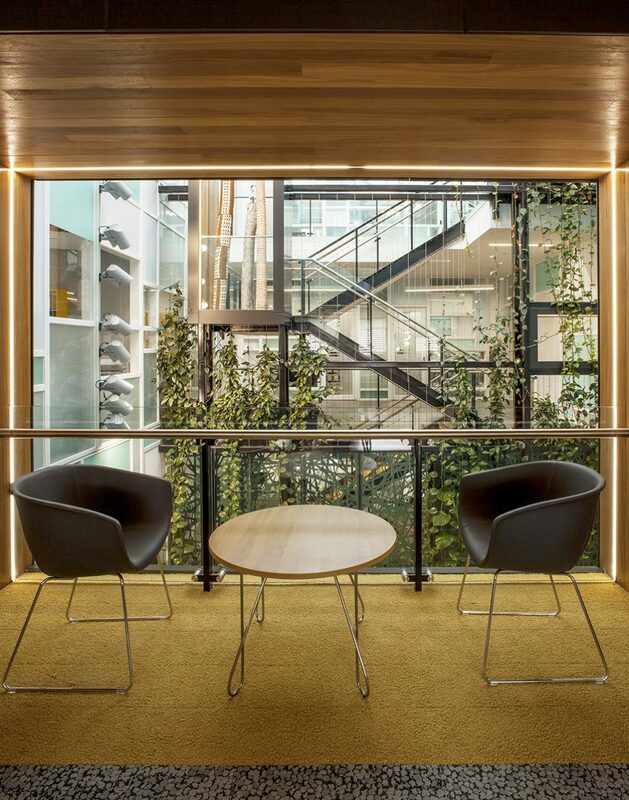 It features a central glass atrium, customised light boxes, revamped LED lighting as well as the interior green walls. 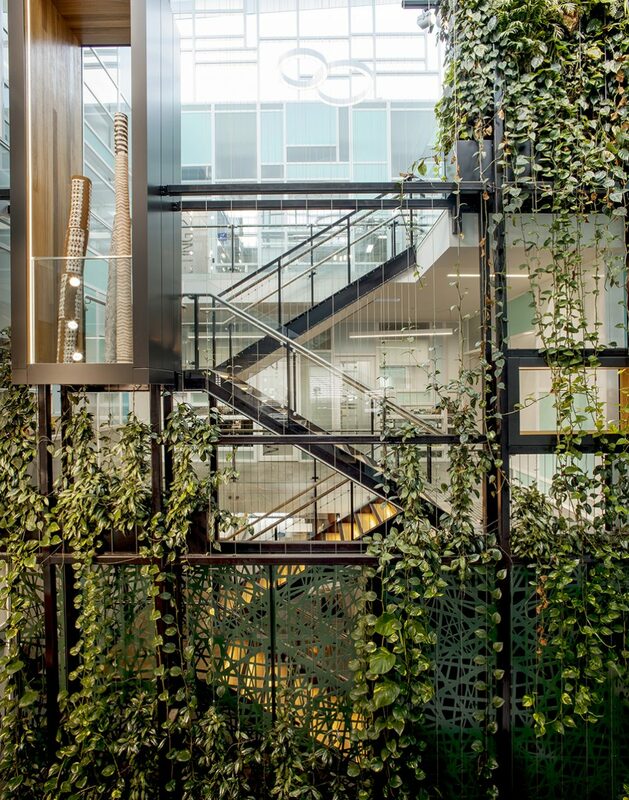 The green infrastructure is designed to improve air quality by reducing carbon dioxide, absorbing VOCs (volatile organic compounds) and increasing oxygen levels, in turn helping to improve staff health and wellbeing. 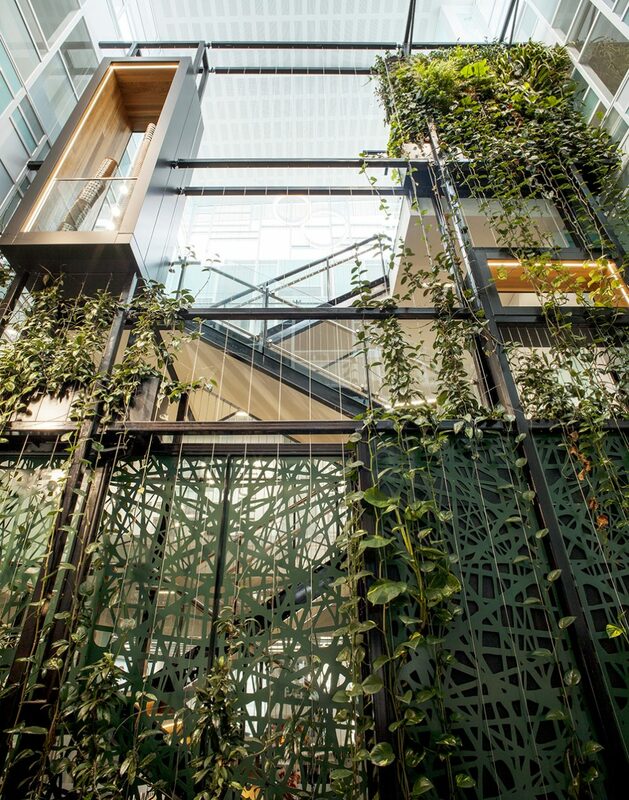 The combination of internal green structures and the light airiness of the building also helps to create a connection between inside and outside. The beauty of the cable balustrades used in this project is that they provide strength without bulk, and are maintenance-free. They also facilitate transparency, allowing light to filter through to the inside space. As the plant growth increases, the cables will provide a long-lasting unique architectural element of the installation. Fine precision and accuracy were paramount in positioning the cables to ensure they won’t deflect under load as the plants grow over time. Cabling of this type is a specialist area for Tensile – all our cables are precision-engineered to ensure they meet the unique requirements of each project. Our team really enjoyed working on this project, which is consistent with the council’s overall green approach to local development. This includes an urban forest ‘greening the city’ strategy which is designed to improve liveability and the environment, and its green schools program which includes annual tree planting events to improve local area biodiversity.